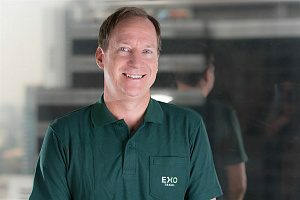 EXO Travel Cambodia as just welcomed a new Product Manager, Mr Trevor Ranges, he is already very committed to sustainability and we are really looking forward working together with him. We are happy to share with you his very valuable testimony on “Zero waste lifestyle” and we hope it will inspire others to follow his lead…In 2015, Trevor co-wrote this article below in 2Mag (as its Managing Editor) about plastic waste pollution and how Thailand is one of the worst plastic polluters in the world. At the start of 2017, Trevor decided to try living a plastic-free lifestyle, quickly discovered how difficult it is to do in Bangkok, and went in search of a community of people, businesses, and organizations who could help him reduce his plastic footprint in the hopes of showing others the way. “Throughout my life I have been drawn to the ocean. Before I could even walk, I could swim. Set in the sand, I would immediately crawl into the sea. My pre-teen family vacations were spent on the islands of the Caribbean and the coasts of Mexico; my teens and twenties were split between California and Hawaii; and in-between I spent my summers at the New Jersey shore. It was there that I had one of my first jobs at around ten years of age, strolling up and down the sand, picking up trash before the daily beachgoers arrived. I would mostly collect beer bottles and ﬁreworks left by teenagers the night before, as well as the occasional syringe or used condom. Disgusting as that may have been, the amount of trash was relatively minimal and mostly incidental: very little trash was found along the coastline, predominantly in the form of sea glass. In my 30s, I moved to Asia and began a career as a travel writer, specializing in beaches and islands. It was around this time I began to notice an increasingly disturbing problem: coastal plastic pollution. Much like climate change, every day there is new evidence of how bad the plastic waste problem has become. Some is impossible to ignore: a 2016 beach clean up on Bali, organized by The Bali Green School with the assistance of Bye Bye Plastic Bags, collected 40 tonnes of plastic from 55 locations around the island. 40 tonnes in a day. As impressive as that effort was, that’s literally a drop in the bucket: experts estimate that the oceans currently contain 150 million tonnes of plastic waste. And the amount of plastic being used (usually once), disposed of (typically not recycled), and ending up in our oceans (as well as rivers and khlongs) continues to increase. In a recent report, the American conservation group Ocean Conservancy estimated that just ﬁve countries (China, Indonesia, Philippines, Vietnam and Thailand) are responsible for as much as 60 percent of plastic waste dumped into the ocean. Ofﬁcial ﬁgures here in Thailand estimate that Bangkok alone produces 11,500 tonnes of garbage each day (at least one tonne of which is plastic), a ﬁgure that is growing by ten percent a year. Cumulatively, this results in eight million tonnes of plastic entering the ocean every year, the equivalent to ﬁve grocery bags ﬁlled with plastic for every foot of coastline in the world, according to a 2016 UN report. Thus, while it seems impressive that a Bali beach clean up removed 40,000 kg of trash from the beach in one day, this represents only .05% of the trash entering the ocean each year. In reality, even our best efforts to clean up our mess are essentially futile. Unless we want to live on a planet literally covered in plastic, we need to stop using so many disposable plastic products now! Because of my love of the beach and sea I could no longer be a cause of this problem. I started feeling guilty whenever I got food delivery that arrived with ﬁve or more plastic products per meal. I couldn’t simply draw the line at telling 7-11 “Mai sai thung; mai 00 rot,” every time I bought a beer. Concern for the future of all living things on the planet motivated me to make my journey known to others; my heart was telling me that we must succeed, and that would require changing the hearts and minds of an entire society. As challenging as that sounded, I had to believe that, if I could drastically (if not entirely) reduce my plastic footprint, I would do whatever I could to make a trail for others to follow. Besides, how hard could it be to stop purchasing plastic products? Every journey starts with a single step, and my early ones weren’t incredibly difﬁcult. While friends chuckled at ﬁrst, many soon expressed guilt about their own wasteful behavior and told me that they were inspired to consciously reduce use of bags and bottles, and the occasional straw, but they also admitted the implausibility of going plastic free. At the same time, I gradually discovered how invasive disposable plastic has become in our lives, and how hard it was to give up all plastic products; they’re simply everywhere! I needed to ﬁnd a community of like minded anti-plastic activists for ideas, inspiration, and collaboration. Week after week, I discovered passionate people here in Thailand that were both living the solution and developing solutions for others. At universities. In civil society. At businesses large and small. Even in sectors of the government. Both Thais and expatriates were working on homegrown solutions. Others were collaborating on regional and global initiatives. Little did most of them know, but a community already existed. In fact, the community was so diverse and widespread that most were too busy on their own efforts and initiatives to be aware of each other. It was a community that hadn’t yet discovered itself. Ultimately, I realized that my own struggle was all of our struggle. I believe, as a country, as a planet, we will eventually replace plastic with bio -friendly alternatives; it’s already happening. Slowly. But every day that passes adds billions of plastic waste items to our environment. Thus, I set out on my journey to eliminate my plastic footprint with the aim of showing others the way, realizing that we must give up our addiction to plastic as quickly as we can. There are 4 primary plastic products that are arguably the biggest problem: plastic bags, bottles, straws and take-away food packaging such as food containers and cups. These are also the 4 that are the easiest to give up. day. Never to be recycled. Think about that. YOU need to stop using straws. Yes YOU, the person reading this article. You really don’t need that straw. A: The glass you’re drinking out of is probably clean and the liquid you’re drinking is already touching the glass anyway. B: Don’t worry about getting lipstick on the glass: if you’re in a restaurant you don’t have to clean it, and you can reapply after lunch. C: Try to order things that don’t need straws, like beer or hot instead of iced tea or coffee. D: It’s not that hard to carry your own, especially if you also carry a reusable cup for drinks or water. For those willing to carry around a straw, there are a few options. And yes, it sounds crazy, but when you break out your personal glass straw to enjoy a cocktail you just me by purchasing ovable straws. paid 300++ baht for, your friends sucking on cheap plastic straws will want one too. Otherwise, there are also some great all-natural alternatives. One day, two girls working together at a resort on Koh Lipe, after seeing thousands of plastic straws littering the beach, decided that something had to be done. Warunyupa “Oil” Dongrumkan, the Thai partner of the soon-to-be Bamboo Sisters, had family in northern Thailand, where an abundance of bamboo grew naturally, so the two decided they could make straws out of that. Dedicating themselves to a sustainable model of only using natural bamboo growth, the sisters set about learning how to harvest, clean, treat, and manufacture bamboo straws that required no farming and no chemicals. While their no-farming model would limit production by Oil’s family in Phrae to around 3000 straws per month, the method would ensure that the natural eco-diversity of the area wouldn’t be affected. While the goal was to first replace all plastic straws on Koh Lipe and then expand outward, online orders from around Thailand hijacked the concept, and sales demand required the sisters to recruit another family, this time in Chiang Mai, to learn the process. Two other families are currently being trained in other areas with the goal of developing production in various areas of Thailand, near different markets, in order to create a more sustainablen supply chain. 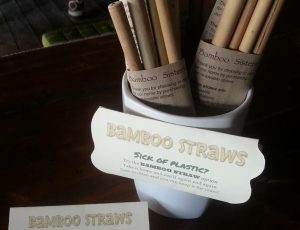 Bamboo Sisters offers two sizes of straw that come in four packs for personal use and offer bulk rates for a growing number of restaurants, bars, and hotels throughout Thailand. Purchase of their straws goes directly to support the families that produce the products. Aside from bamboo, there are a growing number of straw-friendly restaurants using paper and stainless steel straws, and even straws made from morning glory and lemongrass stalks. If you send me an email, I’ll share a Google map with the locations of straw-friendly restaurants so you can get a drink at a restaurant that avoids plastic straws! The map is open-source, so you can add other straw-friendly restaurants to it too! (TrevorRanges@gmail.com) #Strawssuck. #GoStrawless. #StopSucking. Use Better Take-away Food Containers: One early challenge was ordering take-away food; it was hard to order takeaway food without it arriving with numerous plastic bags and either plastic or foam food containers. Gradually, I discovered a few restaurants that used bio-friendly packaging, including Daniel Thaiger Via Uber Eats, which led me to Gracz packaging and, later, Veerasa. Dr. Weerachat Kittirattanapaiboon, M.D., established Biodegradable Packaging for Environment Public Company Limited in January of 2005, on an area of 48 rai on Asia Road, Chainat Province. As a medical doctor, Dr. Weerachat first developed his packaging because he wanted to produce a healthier alternative to styrofoam food packaging. Consequently, while the company’s packaging is certainly environmentally friendly, it wasn’t established in anticipation of a trend towards greener products but for health: the company introduced environmentally friendly products to the market before a market for such products really existed. While I hadn’t discovered many initiatives on the part of the government to discourage or prohibit plastic or foam food packaging, Dr. Weerachat explains that they have received a great deal of support, both directly and indirectly, from local and provincial governments. With the national Departments of Health and Environment Gracz has formed a partnership for bio-friendly packaging as part of the “Clean Food, Good Taste” certification process. In addition, 15 provincial governments have agreed to a Memorandum Of Understanding to be “no foam” provinces, all National Parks in Thailand have pledged to go foam-free, and Wattana district of Bangkok has also committed to a “no foam” packaging pledge that is expected to expand throughout the city, including around Sanam Luang, whose vendors have also pledged to go foam-free. Chiang Mai University is completely foam-free: Gracz supplies the University directly, and all the shops on campus get their products from the University. While many of these “no foam” commitments aren’t codified in law, Dr. Weerachat feels that it is not the best strategy to force anyone to change, that they should do so “from the heart.” I brought up the King’s Sufficiency Economy, to which Dr. Weerachat strongly agreed: “Thailand is an agricultural country, but we only use around 40% of what we grow. We have a lot of agricultural waste,” he continued, explaining that rice husks and palm leaves are typically discarded, and even bamboo or water hyacinth that are otherwise considered waste products can be used to produce bio-friendly packaging, and Gracz is using them to do so, creating some very aesthetically interesting looking products. Consequently, Gracz is also experimenting with creating products out of other types of agricultural waste. Gracz promotes a product cycle that goes “From Nature to Nature”, which assumes that their products are composted in a place where the compost facilitates new plant growth. 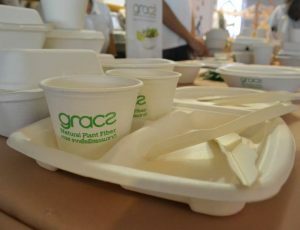 Gracz packaging is compostable and even convertable to biogas (including the biogas the Gracz factories are powered by) and their latest experimental products have plant seeds within the containers so that plants can grow from the discarded packaging! No More Plastic Bottles: Plastic water bottles are a horrible problem. The obvious solution is to stop buying and throwing away plastic bottles. We are using hundreds of billions of plastic bottles every year, and only a small fraction of them are being recycled. This includes you, by the way. Buy a reusable water bottle. Nearly every ofﬁce has a water machine you can use to reﬁll your water. Every gym has them. There are even organizations already working to help make this easier for you. The most successful in the region in Cambodia’s Reﬁll not Landﬁll. Reﬁll not Landﬁll supplies businesses around Cambodia with eco-friendly aluminum bottles to sell or give away, provided that they do one thing: provide free water reﬁlls to anyone who has one of their bottles. With nearly one hundred locations around popular tourist areas in Cambodia, Visitors can easily ﬁnd water as the local reﬁll stations are listed on the bottle! A similar program initiated by Trash Hero is ﬁrst of such here in Thailand. As Reﬁll not Landﬁll does, Trash Hero sells stainless steel water bottles to local businesses at cost. Local businesses can then sell those bottles to customers for a small proﬁtibut only if the local business agrees to have a reﬁll station that provides anyone with a Trash Hero water bottle, no matter where the bottle was purchased, with unlimited free drinking water. In Thailand, Trash Hero has sold more than 30,000 bottles to nearly 200 businesses. If each bottle sold prevents 365 being purchased each year, they estimate that they have prevented 12 million single-use plastic bottles from being used once and tossed away. In addition to similar program that was launched in Indonesia in August 2017, the goal is to distribute 115,000 bottles through 500 participating businesses in 30 locations worldwide within the next three years, resulting in an estimated reduction of 41 million plastic bottles! For those of you who can’t be bothered, you can still buy your own refillable bottle: some even have built-in water filtration that removes up to 99.9999% of bacteria and other contaminants. With one of those, you can literally refill from any tap and drink both safely and environmentally friendly! Although many are actually made out of plastic, they typically are not made with BPA, PVC, or phthalates, and still reduce single-use plastic waste. While these are currently a bit tricky to find here in Bangkok, with a growing trend towards responsibility, they should be easier to find soon! Say “No” to Plastic Bags: According to the Bangkok Metropolitan Authority (BMA), Bangkok alone uses around 600,000 plastic bags every day. Less conservative estimates put the number at 5 to 10 bags per person per day, translating to 200 million plastic bags per day nationwide. Using the BMAs projections, Bangkok produced more than 5,000 tonnes (that’s 5 million kg) of plastic bag waste every day in 2016. That’s literally millions of millions of plastic bags that end up blowing across the countryside, littering our land, polluting our waters, washing up on our beaches, and ending up on the oceanic food chain. Fortunately, there are some actions that indicate that the tide may be turning. In August 2016, a campaign was launched to cut down on the use of plastic bags; the Department of Environmental Quality Promotion enlisted 15 major supermarket chains to withhold the distribution of plastic bags to consumers on the 15th of each month. This one-day “ban” resulted in a reduction in the use of 1.8 million plastic bags. Thammasat University, Rangsit Campus, has employed a similar approach, prohibiting all shops on campus from giving away free plastic bags. Otherwise, quitting plastic bags is easy enough. The first step is simply saying, “No”, particularly at 7-11 and other “convenience” stores. I was already carrying my own cloth bags to do my grocery shopping before this journey began. And avoiding take-away food unless I already knew it came in a paper bag gradually got easier. What bothered me was how casually everyone else used a plastic bag every time they bought anything, no matter how small. Rather than trying to convince everyone to say no, I wondered why 7-11 and other shops didn’t simply stop forcing everyone to take a bag (along with often unnecessary straws). Didn’t it just make sense, at least from a financial standpoint, only to give people bags if they asked for them? Consequently, when I arrived at CP-ALL (7-11’s parent company) for my meeting with representatives of it’s Reputation Management Department, this was the first thing I wanted to know. The answer, surprisingly, was: They’ve been trying to. In fact, 7-11 implemented a four-point 7 Go Green initiative in 2011-2012 that included a Plastic Bag Reduction Campaign under the name “Think about Plastic Bags”. Over three months in the ﬁrst year of the campaign, 7-11 ran a pilot program at 500 stores in which they instructed employees to ask customers if they needed a bag for small items: 7-11 estimates that they saved 4.4 million bags over that short period. When I asked about the costs, the reply was that they those costs are relatively small and that they actually care more about the environment. As for changing to properly biodegradable plastics, they claim these costs are much higher: 8 to 9 times more. And that a large part of the cost for such products are taxes on imports. They feel that the government should help with subsidies, both for producers of plastic-alternative and biodegradable packaging, and for companies that want to use those products but would have to absorb high costs of doing so. The attitude at CP/7-11 is a practical one: they are a business after all. If they stopped offering plastic bags altogether or began charging customers for plastic bags, that could give an advantage to their competitors. This isn’t simply hyperbole, they have evidence to support it. They also discovered that, in an enclosed area where a campaign of education is implemented, it’s easier to create an environment of acceptance towards bag bans or surcharges. The ﬁrst to initiate such a program was Thammasat University Rangsit campus. 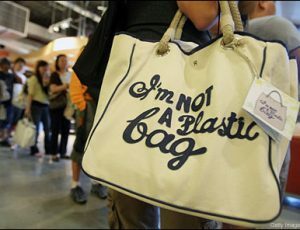 The university provided tote bags to students at the beginning of the program (along with canteens to reduce single-use plastic water bottles), before all shops on campus were required to charge customers if they wanted a plastic bag. The program (along with a similar one at Mahidol University) was adopted by students and businesses with little to no hassle, but in the areas around the edges of campus where non-students, unaware of the campaign, were confronted with an unexpected surcharge on bags, there were numerous customer complaints. Over the past six years of the campaign, 7-11 has measured the opinions of their customers regarding their anti-bag initiatives, both those that encourage employees to ask customers if they want bags and those that ask customers to think twice about opting for convenience over the environment. Such efforts have included screensavers on POS cash registers to remind employees to ask customers if they want plastic bags; in-store posters, stickers on checkout counters, and customer-facing POS displays that encourage customers to say no to plastic bags; they even have plastic bags that have the “Reduce plastic bags,”slogan printed on them; gotta love the irony. Echoing Dr. Weerachat of Gracz, without legislation to enforce a bag tax or bag ban, the 7-11 strategy has been to educate people about the problem and change people’s attitudes. “There are two methods to address this problem: the best way would be to convince people, to invite people to care, to get people in their hearts and minds,” Mr. Samrej explained. “That is the long-lasting way, but it is also too slow as it may take 5-10 years before it enters their subconscious as it has in northern Europe. The other way is faster: the law like they do in China,” he continues. “For Thai people, we think the best is a mixture of the two.” Still, CP ALL recognizes the difﬁculty, as most Thai customers still feel they need a straw and employees give bags out of habit and courtesy. Mr. Banyat says he sees it as a learning experience, that change is occurring more and more, but that it takes time. In the 3rd year of the 7 Go Green campaign, 7-11 started reaching out to school children, working with the Department of Education and producing cartoon content that highlighted such problems as plastic waste going down storm drains and ﬁsh eating plastic bags, as well as social media campaigns and Video competitions. Khidtoong Clubs have been established at around 40 school campuses and claim to have 50,000 student members. Next up is an online game where people are questioned what items they would need a bag for or not. The claim that 7-11 is the poster child for irresponsible plastic waste is clearly unfounded. Do these efforts absolve 7-11 of their contribution to Thailand’s irresponsible convenience-driven plastic waste culture? Is the responsibility on CP ALL to do better to compel their staff not to thoughtlessly give away superﬂuous straws and unnecessary bags? I still shop at 7-11 and I never walk out the door with a straw or a bag. How about you? Find Inspiration for Upping my Anti-plastic Game: Although I had made great strides in steps 1-4, grocery challenge. In most major grocery stores, including my preferred ones, practically all fruits and vegetables are wrapped in plastic. Almost all of the meat, cheese, dairy and bread are wrapped in single use plastic bags. Shampoo, deodorant, toothpaste; most toiletries in fact : plastic. There are a few paper-based packages, such as juice and yoghurt but many of these have plastic caps; coffee, beans, pasta almost everything that comes in a box, such as breakfast cereals, are invariably also wrapped in plastic inside the box. I went home from the ﬁrst shop with a package of Hilltribe Organics eggs and a jar of jam. I added a few farmer’s markets to my calendar but, because I had so little food at home, I ended up eating out a lot in these early days, which wasn’t really a solution to the overall problem. 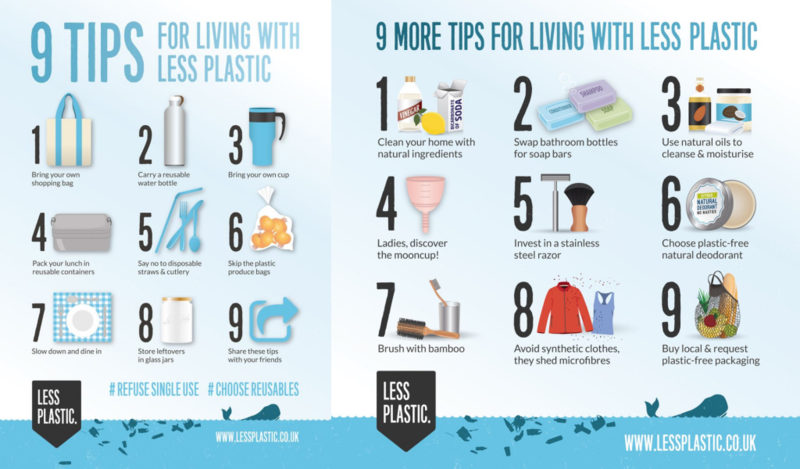 The propagation of plastic is more insidiously ingrained in our society than I thought and, in order to adopt new shopping habits and new eating habits, I realized that my anti-plastic crusade would require a serious lifestyle change. Luckily I met someone early in the year who was a great inspiration and source of information. Enter Madeleine Recknagel, educator, practitioner and champion of a zero waste lifestyle, and inspirational role model for those looking to leave a reduced plastic footprint. Our ﬁrst meeting, over a lunch of vegetarian fare, ﬁrmly established the padawan and jedi status of our relationship, as I came bearing my pyrex straw while Madeleine unsheathed a full array of eating utensils that she carries with her in an upcycled cloth carrier. One thing I quickly learned from Madeleine was that creating less waste was a superior strategy to ﬁnding eco-friendly alternatives, as biodegradable straws and bags (or banana peels for that matter) don’t always decompose completely in landﬁlls. And while I would discover that Madeleine is clearly on a crusade against single-use plastic, both developing educational materials to stem its usage and leading or joining regular beach cleanups, the lifestyle she espouses is zero waste on numerous fronts. As outlined on her blog, “The Sustainable Self: Creating a More Responsible community with you leading the way,” Madeleine not only follows a seven-point strategy to personal waste management, she is actively involved in encouraging others to take action. She proposes we rethink, refuse, reduce, reuse, repair, recycle, and rot, to deal with the various challenges of plastic and other waste. Once you are open to different solutions for your lifestyle, those that are arguably better for both the environment and your health, it’s easy to start to Rethink your habits, including making DIY products. With a smile, she points to her own glorious skin as evidence that her simple, all-natural beauty products are more than adequate. I can only imagine how shiny her kitchen counters must be, as she also produces her own household cleaning products. Madeleine was a huge source of inspiration on this front, explaining to me how to make my own toothpaste and deodorant, and suggesting that I use shampoo bars, a loofah sponge, and soap nuts (for washing clothing). Reuse is pretty simple, particularly when you start with my neighborhood Thai restaurant that I had stopped rethinking, reducing, and refusing. While I wasn’t ready to getting delivery from since my plastic ban, and to bring one to give up my beloved Emporium salad bar, I simply washed out the ofﬁce for take-away lunches. Madeleine explained that Thai the plastic bags I used to purchase my salads and brought food stalls were perfectly willing to put your food in them and them back again and again. When I mentioned that I had her matter-of-fact-ness emboldened me to make it a habit. While I haven’t upped my entire waste-reduction game to her dried fruit and nuts, Madeleine says that she carries small level, I’m certainly inspired to continue improving, replacing cloth bags for such individual items, and isn’t afraid to ask items packaged in plastic with DIY alternatives as I ﬁnish up for a manager if grocery store staff are uncertain about what I have. My home is too small for a garden, so I’ll have to allowing her to use them. Otherwise, Madeleine buys most of wait on Rot and the whole concept of composting (though I have her groceries at farmers markets and local wet markets, and started feeding the neighborhood animals more). Recycling, I shops for bulk dried goods, including rice, grains, and nuts, do the best I can, given Thailand’s recycling infrastructure, and every several months in Chinatown. Repair comes fairly naturally to me. Following her advice and Madeleine is also a fan of the three-tiered Thai tifﬁn box her example, however, certainly set me on a more hopeful path, (aka a pinto) for takeaway food. I had already purchased and I recommend Visiting her blog to get inspired and take action. Offset my plastic footprint: There had been a growing buzz about an organization called Trash Hero, whom I had discovered while producing our Green Issue (2Mag #95), commending them for a weekly trash cleanups. The founding chapter on Koh Lipe has run a volunteer beach clean up every week for nearly 200 weeks. Successful chapters have since been founded across Southeast Asia and even in the US and Europe. 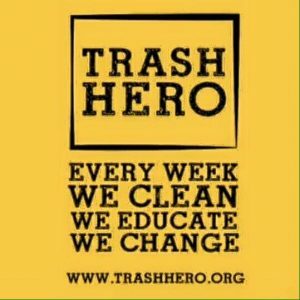 Having been a solitary Trash Hero since my childhood (to this day picking up plastic whenever I’m at the beach), I set up a meeting at what I believed to be the headquarters of Trash Hero in Bangkok. When I ﬁrst walked into the meeting room/design studio/classroom of Starboard Surfboards at Taco Lake (the unofﬁcial HQ of volunteer-based Bangkok Trash Hero), there were translucent sheets of plastic covering the ﬂoor which, at the time, seemed too ludicrous to register. They were blueprints for stand-up paddle (SUP) surfboards being examined by Svein Rasmussen (Starboard’s Chief Innovator) who explained that they liked to get a functional perspective on their board designs. I now regard it as absurd that our ﬁrst encounter featured so much plastic; literally covering the ﬂoor. In retrospect, I realize that these sheets of plastic are a useful reminder that there is a re son plastic has so ubiquitously invaded our lives: it’s practicality. And that the use of plastic does not, in and of itself, have to be eradicated from our lives; not yet, at least. Later in our meeting, Svein informed me that they are acquiring a plastic recycling machine so they can melt down and repurpose all the plastic Starboard uses. Before the meeting started however, Erik Schnitzler (Starboard R&D Windsurﬁng) walked me around the meeting room/design studio/classroom: beyond a SUP-shaped sofa, educational posters adorned the wall, serving as a backdrop for weekly presentations given to international school students who volunteer to come in for education and activism. First they clean up trash, then they discuss solutions. To inspire them, Svein tells students that recycling is going to create huge future business opportunities and he shows them recycled products such as Parley for the Ocean Adidas shoes and the surfboards leaning in corners and resting upon various furnishings: the rails on one board are strips of balsawood; the ﬁn boxes of other boards were made from repurposed ﬁshing nets; the blank of another was made of recycled Styrofoam (EPS) that was picked up by Trash Hero on an island off the west coast of Thailand near Koh Lipe as a pilot project trying to investigate how they could use styrofoam from the beaches to put into the boards. I told Svein about this article and the causes that 2Mag is passionate about. I told him what I was passionate about. I think he appreciated that, as a kid, one of my ﬁrst jobs was picking up garbage on the beach. I regretted missing a chance to join them for their latest cleanup: Trash Hero Bangkok had taken dozens of volunteers to ride SUP boards around Banglamphu Canal to gather ﬂoating trash with nets. It sounded way more fun than when I was picking up beer bottles and cigarette butts left by teenagers on the beach. When I asked questions about other Trash Hero programs, Svein and his team were candidly unaware of what other chapters were doing: they were busy with their own efforts. I was aware of the successful chapters in Koh Lipe and Ao Nang; I wondered how the Lipe Community Waste Management trash collection program could be expanded to other chapters. I told them about Reﬁll not Landﬁll in Cambodia and wondered why the Trash Hero bottle program has not been widely implemented in Bangkok. Swiftly, it was time for “inspiring others” and Svein put me on the spot: “You can do it.” His immediacy and conviction that I should shoulder this responsibility was quite convincing. What I discovered was that Trash Hero is a completely ﬁat, volunteer organization. It’s is a collective of individual heroes rather than a hierarchical structure. Thus, it seems natural that, while Swiss native Roman Peters and Thai Sakdadech “Meuk” Sutsawasng founded the ﬁrst Trash Hero, Roman is no longer afﬁliated with the original branch but is still active in promoting new Trash Hero chapters worldwide. In less than three years since its inception, Trash Hero now boasts 41 chapters in eight different countries, including 22 chapters in Thailand. As far as Svein knew, there wasn’t even a proper database of the estimated 20,000 heroes that Trash Hero Thailand has inspired over the past four years. Information is shared mouth to mouth between heroes, regardless of chapter. When I pointed out that they could use someone to help coordinate the efforts of different chapters and develop a simple database of members that can be utilized to sign petitions to ban plastic bags, for example, Svein immediately suggested I was the man to do it. Svein then suggested we “take it upstream”: “Who in the government can support legislation that would immediately ban plastic bags?” We made agreement to share our contacts and start coordinating our efforts. A lot of the focus then centered on “How to utilize Trash Hero. 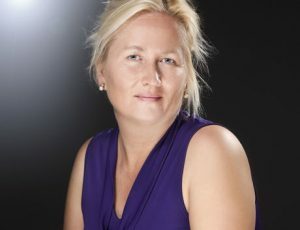 How to move it forward.” When Svein talks of inspiring people or creating awareness, you can tell he’s looking for people who can make a spark, who can make bold strokes at pressing problems. Trash Hero believes that every one of us can be a Trash Hero. The mission is to create sustainable, community-based projects that remove existing waste, and reduce future waste by inspiring long-term behavior change through Action & Awareness, Education, Sustainable Projects, and Inspiration. That sounded good to me. “Create Awareness” and Facilitate Community Engagement: Svein’s call to action and the youthful enthusiasm of his new intern Bailey Rosen, inspired me to get actively engaged in solutions at a larger scale, and to expand my effort to help others promote their own initiatives to facilitate behavioral change in Thai people. I had already met with developers to create a smartphone app to help track my plastic footprint, with the goal of offering tips for others to track and reduce their own plastic usage, as well as links to trash cleanups, anti-plastic alternative products, and lists of restaurants that used bio-friendly packaging and/or non-plastic straws. As my incipient community grew, I discovered a Hong Kong-based organization (Ocean Recovery Alliance) developing a plastic tracking app that I hope to introduce to Thailand as I retool my own, ideally for children. I met restaurateurs looking for bio-friendly packaging and introduced them directly to Gracz, Bamboo Sisters, and other small suppliers. Bailey and I started fleshing out the Google map with the location of “straw-unfriendly”restaurants (for lack of a better term). I spoke with Roman from Trash Hero about helping expand the Trash Hero water bottle refill program in Bangkok. I even collaborated with my team at 2Mag to help launch the Ecotopia shopping experience at Siam Discovery scheduled for December 14 to promote awareness of the lifestyle, showcase locally-made “upcycled” products, offer workshops, and organize a dinner for this community so that they could finally meet one another in person. If everything goes according to plan, everyone will be drinking from non-plastic straws at the dinner and post-event cocktail party! 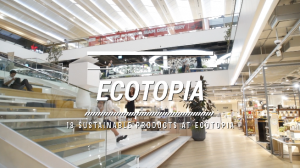 Things have really been coming together, and I hope the launch of Ecotopia at Siam Discovery will be a great step forward in the acceptance of sustainable living in Thailand, including the reduction of single-use plastic straws, bottles, bags, and take-away food containers. Change People’s Hearts: While evidence of this trend toward sustainability is popping up all over Thailand, this is not a foreign concept in the Kingdom. Throughout his long reign, King Bhumibol Adulyadej preached the concept of the “sufficiency economy” 7a philosophy that espoused sustainability, environmentalism, and making do with what one has. Modern development has caused changes in all aspects of Thai society, but arguably the most deleterious has been the adoption of a wasteful Western philosophy of consumerism and convenience. In his own words, the King preached: “A sufficient economy means to have enough to support ourselves…we have to take a careful step backward…” clear call to Thai people to return to moderation and prudence. The Thai people I have talked with who support my crusade against plastic sing the same refrain. They believe that, in their hearts, Thai people want to do the right thing: they simply need education and the option of alternatives. The expatriate foreigners who call Thailand their home tend to look at the problem from a more global perspective: Thailand’s problem is, in fact, the world’s problem, and we must develop solutions here that have succeeded elsewhere while helping solutions here spread abroad. It has been inspiring to discover so many individuals, organizations, and businesses addressing this problem. Unfortunately the amount of plastic we consume is both wasteful and unsustainable, and it continues to increase to a shocking degree: in 2017 we will have produced approximately double the amount of plastic we did in 2010, around 350 million metric tonnes. About the Author: After moving to Thailand from Hawaii in 2001, Trevor Ranges explored the beaches and islands of Southeast Asia over a decade as a travel writer. My Plastic Footprint is a passion project launched in 2017 to utilize his personal and professional network to combat plastic waste. After discovering a community of passionate individuals and organizations throughout the year, Trevor aims to launch My Plastic Footprint platform in 2018 to help others follow in his footsteps of reducing plastic waste one straw, bottle, bag, and package at a time. To get involved, contact him at TrevorRanges@gmail.com.